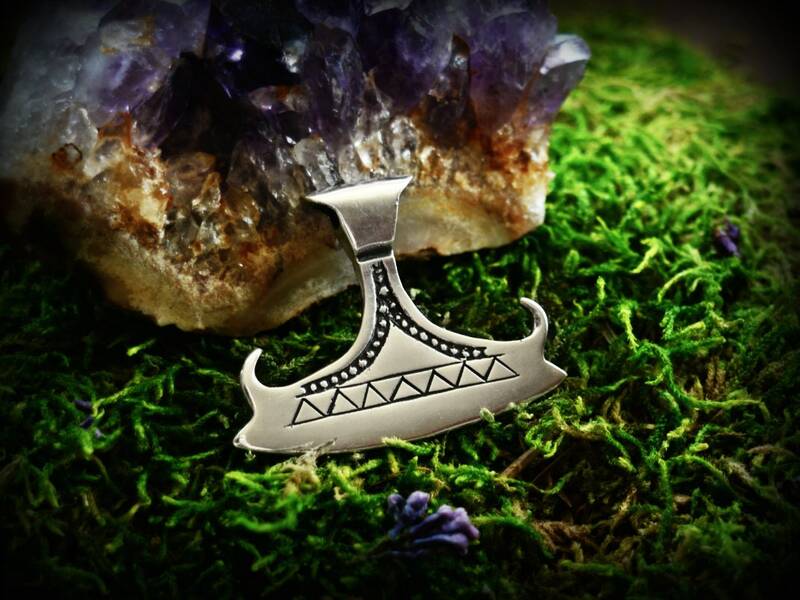 Silver Slavic pendant called Axe of Perun, Slavic God of thunder, one of the most powerful god in Slavic pantheon. Such pendants were very popular among Slavic people and are connected to warfar. This silver pendant is a replica of a find from Poland (Czermno), dated to X/XIth cent.